1. A proposed budget by three Oakland city councilmembers would result in an $8.7 million shortfall, according to a report from the city’s budget director, the Trib reports. The budget proposal by Councilmembers Larry Reid, Desley Brooks, and Noel Gallo would cause a gaping hole in the budget because it underestimates the costs of a proposed 3 percent raise for civilian employees. Budget Director Donna Hom also said a competing budget proposal from Council President Pat Kernighan, which includes no raises, would result in a small surplus. 2. US Senator Dianne Feinstein of California called for a criminal probe into the leaking of classified material that resulted in the disclosure last week that the National Security Agency has been collecting data on the phone calls of all Americans and on their Internet usage, The Hill reports (via Rough & Tumble). 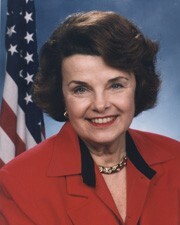 Over the years, Feinstein has repeatedly called for the criminal prosecution of government whistleblowers. 3. The Guardian newspaper, which broke the stories about the NSA data collection on all Americans, revealed that its source was Edward Snowden, a 29-year-old employee of the defense contractor Booz Allen Hamilton. Snowden, who asked to have his identity revealed, is hiding out in a Hong Kong hotel. 4. A conservative Republican working for the IRS said it was his idea, along with that of a colleague, to scrutinize Tea Party groups who requested nonprofit status, Reuters reports (via Rough & Tumble). The disclosure by the conservative IRS agent blows a hole in a Republican conspiracy theory that the White House had ordered the targeting of Tea Party organizations. 5. Governor Brown’s plan to build two giant water tunnels underneath the Sacramento-San Joaquin River Delta could make the estuary much saltier by diverting too much freshwater away from it, and thereby endangering threatened fish, the SacBee$ reports. 6. A majority of Californians — 58 percent — say they support a moratorium on fracking in the state, the LA Times$ reports, citing a new poll. However, state legislators have already turned down a bill that would have enacted such a ban. 7. Southern California Edison has decided to shutter its troubled San Onofre nuclear power plant and will focus on creating more renewable energy, the LA Times$ reports. 8. And huge amounts of trash are piling up on the floor of the Pacific Ocean in Monterey Bay, the Chron$ reports.